With the ever-growing popularity of backyard chickens and homegrown gardens, more and more people are becoming conscious of where food comes from and how it’s being raised. 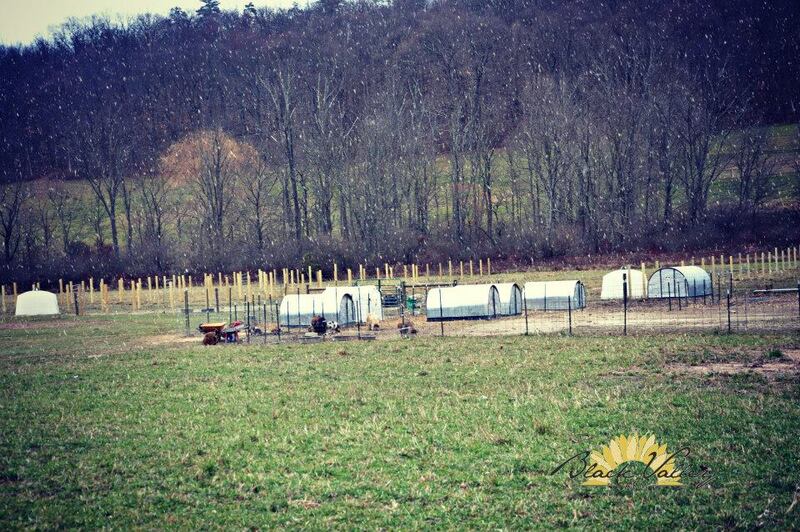 That’s why we are so excited to introduce you to Black Valley Farm. 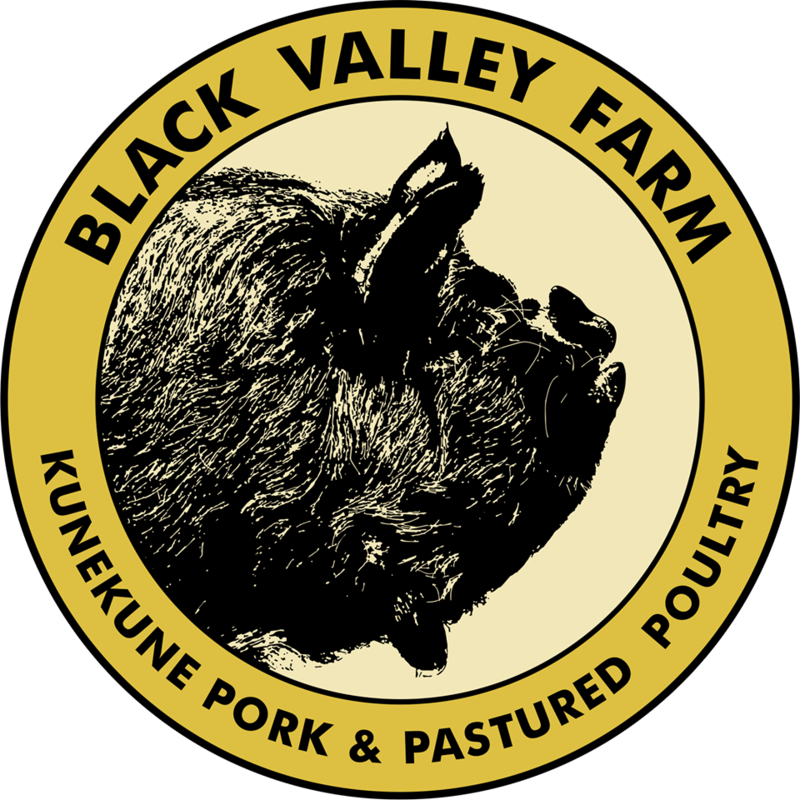 Located in Everett, Pennsylvania, Black Valley Farm is a diversified open air piggery specializing in heritage Kunekune pigs for pasture, pork, and progeny. Their herd ranks as one of the largest in the nation. What we find particularly special about Black Valley is their focus on education. They offer workshops, classes and events that draw attendance from across the USA. They take great pride in their beyond organic and sustainable practices. One of those practices is raising their flocks and herds on pastures and Port-A-Hut has been an incredible and economical asset to them. 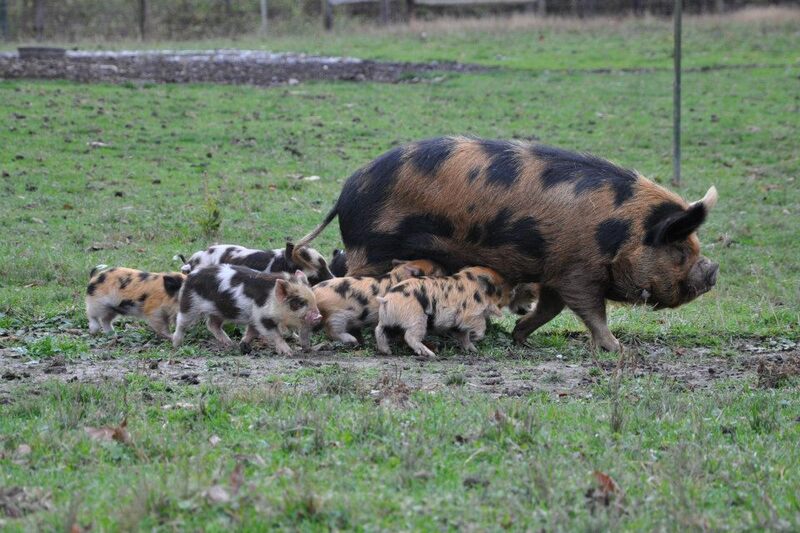 “Our breeding herd is kept on pasture year round. 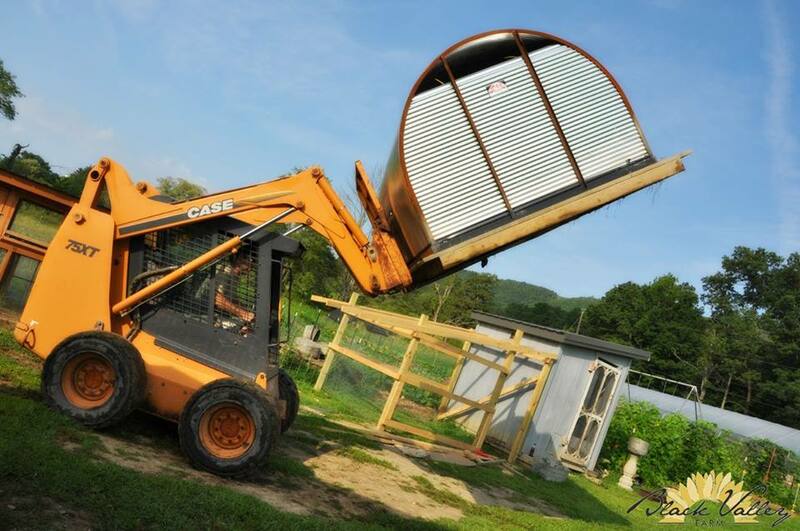 Port-A-Huts offer the portability to rotate our herd as needed.” says Alana Schoffstall of Black Valley Farm. 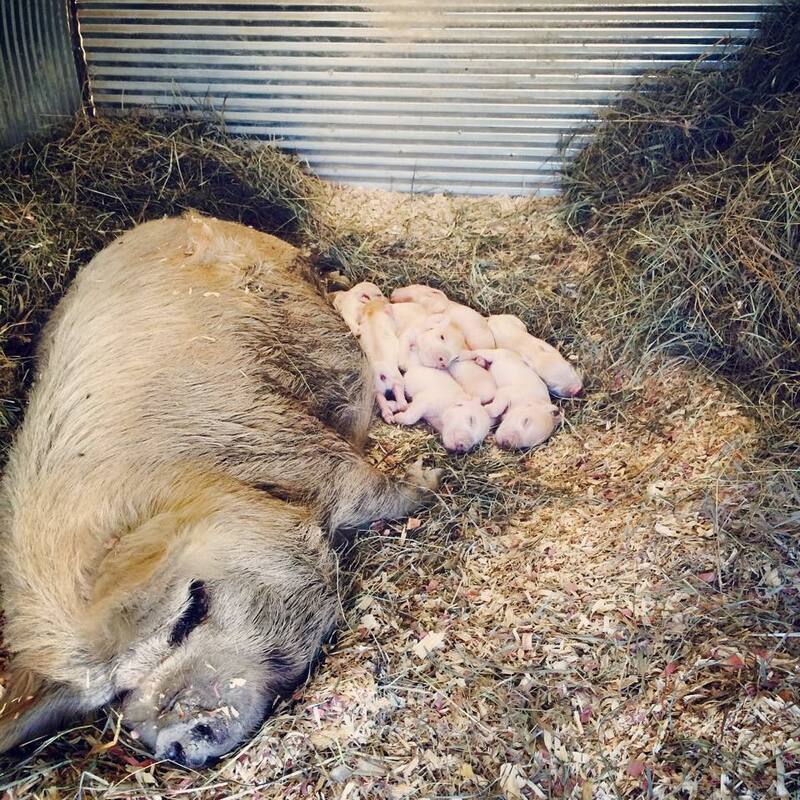 One of the things that make these huts so popular is their ability to provide sufficient shelter during the colder winter months for wintering on pasture and they are versatile enough for sows to farrow in the huts during the summer months. 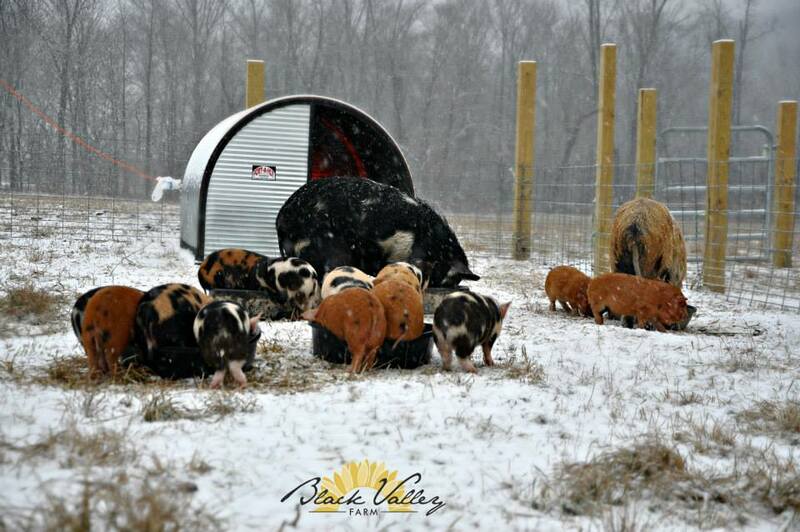 Interested in more about Black Valley Farm and their sustainable practices? Their workshops are open to anyone, weather you’re a hobby farmer, an enthusiastic foodie, or an agricultural entrepreneur. They will get you started and provide you will some great advice on living beyond organic. Trough and valve combinations are sized to provide as much water as your animals want, yet at the same time, limit the amount that sits in the trough when they are not drinking. That way, the water is fresh and clean. Ritchie’s high flow valves are available in two different sizes, depending on the size of the fountain’s trough. Valves are available in different flow capacities to accommodate different supply line pressures. Want to know how strongly a company believes in its products? Just look at the warranty and see if it has any teeth in it. At Ritchie, we provide a superior fountain, so we offer a superior 10 year limited warranty program on all our poly products: five years full, followed by five years prorated. Steel products carry a 10 year, 100% warranty on stainless troughs against manufacturing defects and corrosion; one year full and nine years prorated on casing and cover. None of our competition (concrete, poly or steel) offers a warranty this strong. You might think we’re taking excessive pride in our workmanship, but we can’t help bragging on the fact our heavy-duty, impact resistant, polyethylene fountains are totally sealed so moisture can’t get to the insulation. Our poly is thicker than the competition. In addition, the heavy wall, roto-molded one piece construction employs UV inhibitors for extended life. There are cheaper grades of stainless steel out there, but you won’t find them in Ritchie fountains. Our steel troughs are made of 304 stainless—the ultimate in durability and corrosion resistance. All of Ritchie’s stainless steel troughs have hemmed edges to make them smooth and blunt. Of course, our heavy-duty poly fountains have smooth, curved surfaces. All heated stainless steel troughs tested to United States, Canadian or European applicable standards. *See individual units for ratings. Compare a Ritchie fountain with the concrete water unit offered by the competition. Our troughs don’t pit, they’re easy to clean, they’re economical to heat and they don’t compromise the cleanliness of the water. Two people can install a Ritchie fountain, but you’ll need heavy equipment to install a concrete unit. Ritchie fountains use 75% less energy than concrete. Our water seal design eliminates the need for gaskets that can freeze, crack and tear. No one else uses this superior sealing technology to keep cold air away from the valve, which is the heart and soul of any fountain. By protecting our high capacity valves, we’re protecting your investment. 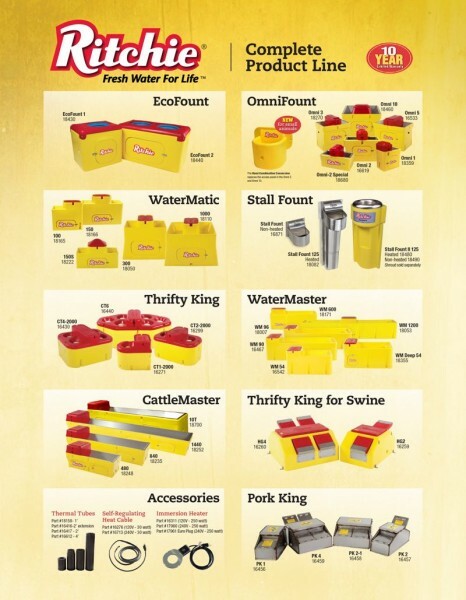 Many livestock producers only buy a Ritchie fountain once every 30 years or so, but that’s because their original Ritchie fountain has served them faithfully for all 30 years! Pride in workmanship is still one of the hallmarks of the Ritchie business and we make it easy on you by building fountains you can rely on, day in and day out. Once you find the right fountain for your operation, you’ll understand why Ritchie products inspire the kind of loyalty that lasts for years. 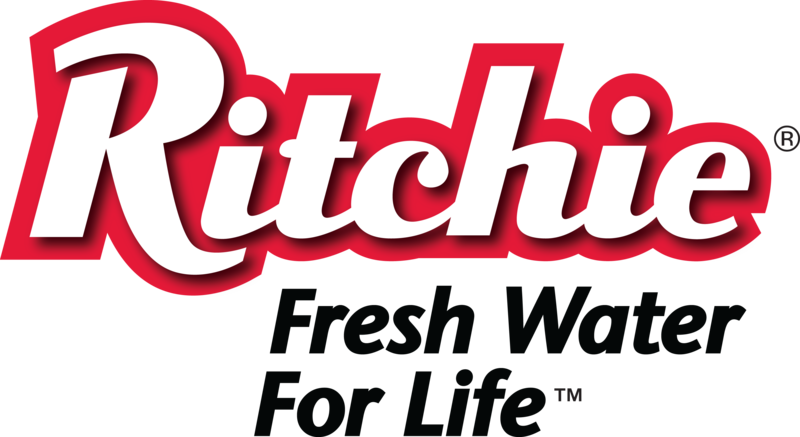 You don’t have to search the entire Ritchie product line for a fountain that meets Grade A dairy recommendations—they all do! Designed with efficient energy use in mind, Ritchie fountains keep from freezing without much cost. The costs below represent an entire year’s energy costs, calculated at a rate of 8 cents per kilowatt hour. They are derived from university and Ritchie testing and have been adjusted by the degree days for each area. This illustrates the impact that poly construction has on energy usage, as well as the effect covered troughs have on energy efficiency.